Fennel with Turnip Greens | Naturally. Sometimes I make things more complicated than they need to be. In school, I “over-read” or try to “over-interpret.” In life, I tend to “over-analyze” and “over-worry” situations. And in cooking, I tend to “over-use” ingredients. The more I experiment with simple flavors or even letting the produce have a flavor, the more I realize how much joy is in the simple. Come to find out- a lot. I love the taste of turnip greens! On my way home, I pulled a green off and popped it in my mouth not expecting it to taste like much. Yet, to my surprise, the green was slightly sweet and had an amazing flavor. I knew I had some fennel at home and I automatically knew I wanted to pair the two together plus add a little protein and the outcome? I delicious, simple, quick vegan lunch chocked full of good stuff! 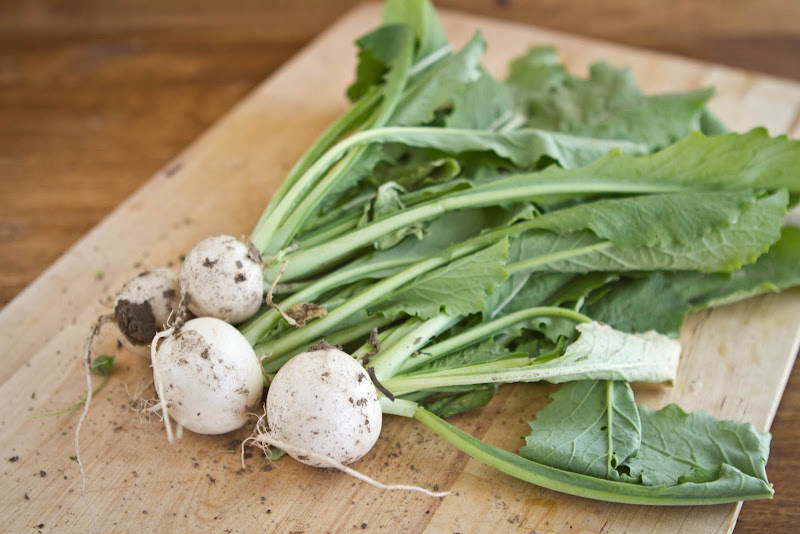 My question for you: how else do you eat turnips/greens? Heat olive oil over medium heat. Dice fennel and add to the pan. Remove the greens (set aside) from turnips and dice turnips, stir into fennel. Continue to cook for 4-5 more minutes or until fennel and turnips soften. In a small bowl, whisk together olive oil, balsamic vinegar, and mustard. Pour into pan and stir to coat. Remove from oven and serve while still warm. 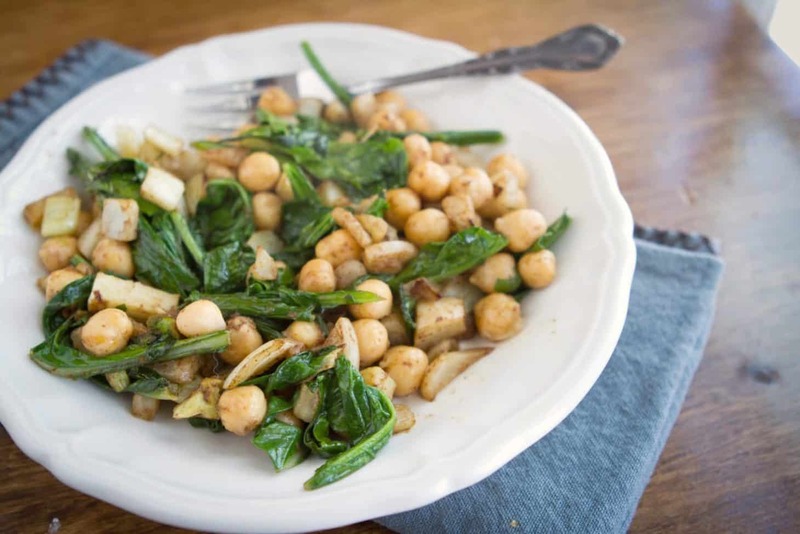 Love that you included both the turnip and turnip greens in this recipe. I’ve made a few things with turnips recently and have been quite pleased with the results. Turnips aren’t something I normally cook with but I loved the flavor of the greens! Another way to eat turnip greens? Sautéed with bacon and served with eggs.